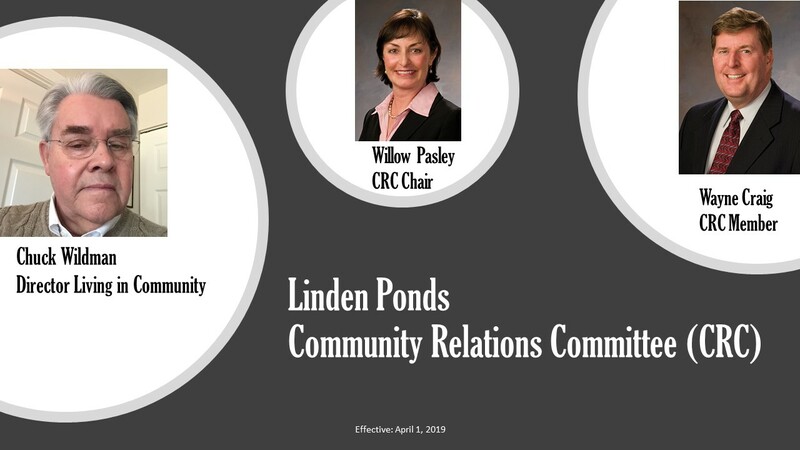 Mr. Craig has served as a regional director of Brooksby Village and Linden Ponds since 2007. During that tenure he has served on the Executive Committee and the Audit Committee of both communities, and has served as Chairman of the Regional Budget and Finance Committee of both communities, as well as the Long Range Strategic Planning Committee and the Maple Grove Development Committee at Brooksby Village. Mr. Craig has also served on the NSC Budget and Finance Committee and is currently a member of the NSC Investment and Treasury Committee as well as the Communications and Strategic Planning Committees. In addition, Mr. Craig has been employed full time as the chief financial officer for SMV Management Company since December of 2009. SMV Management Company is responsible for the oversight of approximately 200 skilled nursing facilities, assisted living facilities, and long-term acute care hospitals that are located in 22 states and owned by a small group of private investors. Mr. Craig previously worked as CFO for a small, family-owned health care provider in Massachusetts and as VP of finance for Harborside Healthcare Corporation. Reverend Wildman is Director Living in Community for Linden Ponds. An ordained minister in the United Church of Christ, he congregates in four regions of the country. For twenty years, he was Senior Pastor for Rock Spring Congregational UCC, Arlington, VA. In retirement, Mr. Wildman was called to serve as Interim Conference Minister for the Connecticut Conference, UCC. He was a Trustee of Chicago Theological Seminary. He has extensive experience in non-profit leadership, including the United Way of the National Capitol Area Board of Directors. Professional life has taken him to Columbia, SA, the Middle East, Egypt, Japan, South Korea and Australia. He holds degrees from Yale University School of Divinity and Lake Forest College, and special studies at Menninger Psychiatric Institute, Indiana School of Philanthropy, Hartford Seminary Foundation among others. He and Anne Dunn Wildman have been married for 52 years with two children and one grandchild.